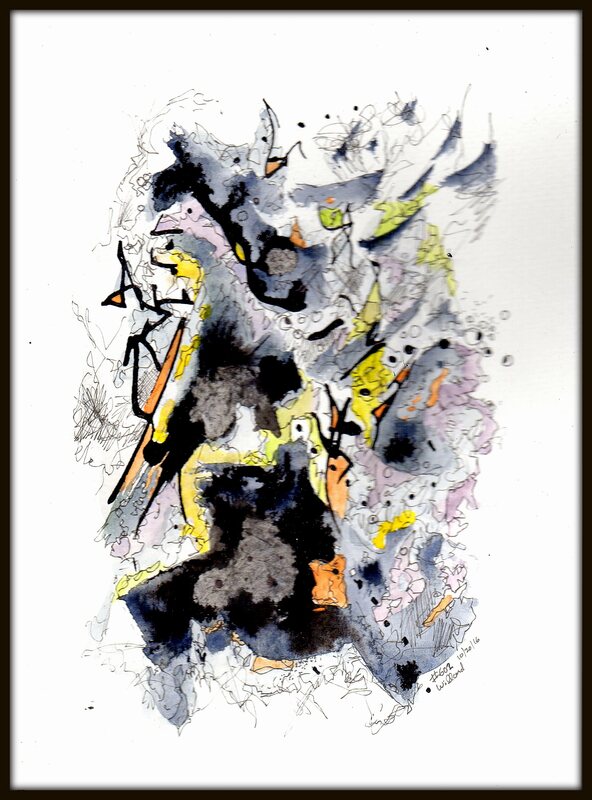 9.5″ x 7.5″ watercolor, ink. The gray has an interesting effect on the colors, particularly with yellow. Here, the grays dominate, from pale wash to black. The companion hues, yellow, yellow green and orange, with a pale purple wash as compliment to the yellow, an unusual combination, the mood of the grays, dark to the cheery yellows. Kind of like my mixed emotional state. Balance, without harmony. Chromatic dissonance. Posted on October 20, 2016 October 21, 2016 by wjacobrPosted in Art, My Art, RhizomaticsTagged Art, Rhizomatics (Cells Words Maps), Willard Art.